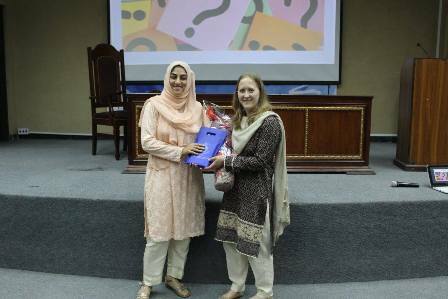 Armacost Psychological Society arranged a lecture on Wednesday 22 March 2017 based on understanding of the link between Academic Integrity and Plagiarism which was conducted by Assistant Professor of Psychology, Dr Elizabeth Maria Schwaiger. Dr Schwaiger is a Professional Psychologist and completed her PhD in Professional Psychology from Massachusetts. She provided a detailed insight in to the sources of plagiarism, how can they be tackled and how it affects the academic integrity of an institution. 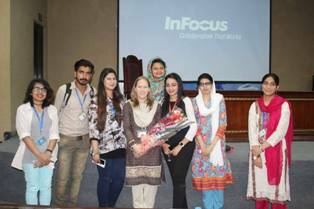 The lecture was followed by a question and answers session, the audience majorly consisted of students studying majoring Psychology who participated enthusiastically in clearing out any ambiguities they had in reference to the topic. 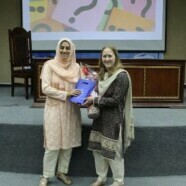 The talk was highly informative and imperatively needed considering the issue of plagiarism faced by many students.